Brussels/New York: In a bond sale closely watched by investors globally, Saudi Aramco and its bankers are preparing to kick off what could be at least a $10 billion bond sale next week. Early indications suggest investors are already crowding in. A message circulated among investors of Friday said interest in the most highly anticipated sale of the year already totaled more than $26 billion, according to people with direct knowledge of the matter. The state-owned oil giant and bankers spent the last week drumming up support for its debut offering at presentations in cities ranging from New York and Chicago to Singapore and Tokyo. The success of the sale is hugely important for banks, such as JPMorgan Chase & Co., that are working on the company’s behalf. 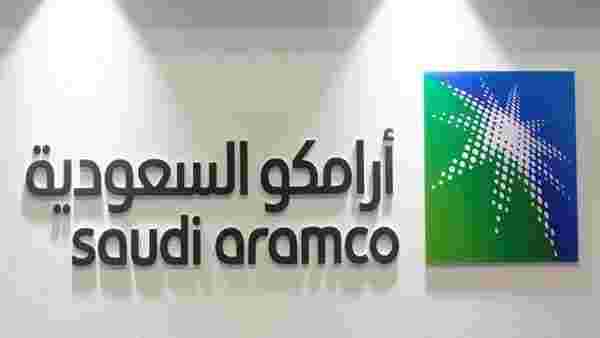 They are eager to run an initial public offering (IPO) by Saudi Aramco—the world’s most profitable company—if and when it comes, which would bring lucrative fees for the selected banks. In a rare appearance that underlines the bond sale’s significance, JPMorgan’s chief executive Jamie Dimon spoke at a lunch in New York Thursday to market the deal, according to one of the people. Morgan Stanley, Citigroup Inc., Goldman Sachs Group Inc., HSBC Holdings Plc and NCB Capital Co. are also managing the Saudi Aramco bond sale, according to a prospectus seen by Bloomberg News. The initial price talk on the bond may be announced on Monday, with pricing as early as Tuesday, the people said. Representatives of the company declined to comment on the sale process. Aramco is turning to the dollar bond market as the company is starting to raise cash ahead of the purchase of a $69 billion majority stake in domestic petrochemical giant Sabic. The bond sale represents an alternate way for Saudi Arabia to raise money and diversify from oil after the Saudi Aramco IPO was postponed last year. Saudi Arabia has valued Aramco at a whopping $2 trillion, though not all investors are convinced it’s worth that much. The Saudi Aramco bond sale will extend the already record start for issuers from the Gulf Cooperation Council—exceeding $30 billion so far this year. It caps four consecutive years of bond sales from the Kingdom, most recently pricing $7.5 billion in international bonds in January, only months since the brutal killing of Washington Post columnist Jamal Khashoggi. While demand for the bonds is likely to be high, investors remain torn on whether that interest will allow Saudi Aramco to pay yields lower than what its owner does, the Saudi Arabia government. On the one hand, Aramco is immensely profitable and produces endless cash flow. In addition, investors who manage high-grade corporate debt are showing interest in buying the Aramco bonds. All of that could bring the borrowing cost lower than that of the government, according to Nikolay Menteshashvili, an analyst with Insight Investment in London.